Many lawsuits involving insurance coverage or an insurer’s bad faith unfold in the context of a declaratory judgment. This addresses those issues specific to a declaratory judgment action involving insurers and insureds. The Georgia Declaratory Judgment Act, O.C.G.A. § 9-4-1 et seq. provides a mechanism to settle and afford relief from uncertainty and insecurity with respect to rights, status, and other legal relations. In Georgia, “a declaratory judgment is permitted to determine a controversy before obligations are repudiated or rights are violated.” The petitioner is not entitled to a declaratory judgment where the rights of the parties have already accrued and there are no circumstances showing any necessity for a determination of the dispute to guide and protect the petitioner from uncertainty and insecurity with regard to the propriety of some future act or conduct. A declaratory judgment action makes no provision for a judgment which is advisory. When Is A Declatory Judgment Used? Where circumstances cast doubt on whether a liability policy provides coverage for a claim, there is such an immediacy of choice imposed upon an insurer that an insurer is entitled to seek a declaratory judgment. If an insurer is uncertain how to handle a claim made on a policy, the insurer may enter a defense for the insured under a reservation of rights and then seek a declaratory judgment. For example, if a liability insurer indicates there will be no coverage for a particular claim prior to suit being filed against the insured, and the insurer assumes the defense once the lawsuit is filed, the insurer may pursue a declaratory judgment. However, an insurer may not file a declaratory judgment action after judgment has been taken against the insured, because there is no uncertainty and insecurity as to future conduct between the parties. A declaratory judgment is also not available merely to test the viability of a party’s defenses. An insurer may not refuse to pay under its policy and then use the declaratory judgment procedure to avoid bad-faith penalties. To allow an insurance company to file a declaratory judgment when it has already taken a definitive position as to coverage would frustrate the purpose of the Declaratory Judgment Act. Even where the insurer did not expressly determine prior to the entry of the judgment that the policy did not provide coverage for the insured, the failure to provide a defense to the insured is equivalent to a denial of coverage and prevents an insurer from later seeking a declaratory judgment. Drawdy v. Direct General Ins. Co. In Drawdy v. Direct General Ins. Co., the Supreme Court of Georgia held that an insurer was precluded from bringing a declaratory judgment action after an unqualified denial of coverage to the insured. The claims in this case arose from a fatal auto accident caused by the insured’s nephew who was driving the insured’s vehicle. A month after the accident, the insurer unconditionally denied coverage because its investigation revealed that the insured’s nephew was driving the vehicle without the insured’s knowledge or permission. Later, the insurer filed a declaratory judgment action. No tort action had been filed against the insured or his nephew at that point and the insurer expressly stated in its complaint that it had denied coverage. The insured moved to dismiss the declaratory judgment. One week after the motion to dismiss was filed, the estate of the passenger in the car filed suit against the insured. The insurer apparently defended the suit under a reservation of rights. In reversing the Court of Appeals, the Supreme Court stated that a declaratory judgment was not authorized in this case because Direct General had denied the claim and was not uncertain or insecure in regard to its rights, status, or legal relations. The Supreme Court distinguished Colonial Ins. Co. of Calif. v. Progressive Casualty Ins. Co., noting that in that case the insurer had sent a “qualified denial” and undertook the insured’s defense under a reservation of rights before filing a declaratory judgment action. Finally, the Supreme Court noted that the purpose of the Declaratory Judgment Act is to protect parties from uncertainty as to future conduct, not from the adverse consequences of actions already taken. Provided that coverage has not been denied, an insurer may file a post-judgment declaratory judgment action to determine whether the policy provides coverage to the insured. The insured may pursue action for breach of contract. An insured has the same right to seek a declaratory judgment as the insurer. Allowing insureds to file declaratory judgment actions “levels the playing field” between insurers and insureds. When an insurer or insured files a declaratory judgment action seeking guidance on whether the insurer must defend an “underlying lawsuit” against the insured, the question sometimes arises whether the underlying lawsuit or the declaratory judgment should be first decided. 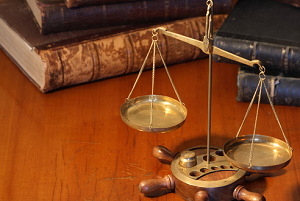 Whether a stay of the underlying lawsuit will be granted is in the discretion of the court.